Last week we ran a feature here on FootyFair on football foods from around the world, but one region we neglected to cover was Asia. So this weekend I spoke to my brother Dan Jones, who lives in Tokyo, Japan and is an occasional guest contributor for this site, along with Tricolore Pride and the excellent JSoccer magazine. As a season ticket holder for Yokohama F. Marinos he was in attendance for their 2-0 win this past weekend over Ventforet Kofu, a match that Marinos largely dominated. A 7th minute goal from Yuta Mikado put the home side into the ascendancy before Brazilian striker Rafina doubled their lead in the 54th minute. Marinos then successfully closed out the win to the delight of the Nissan Stadium crowd. 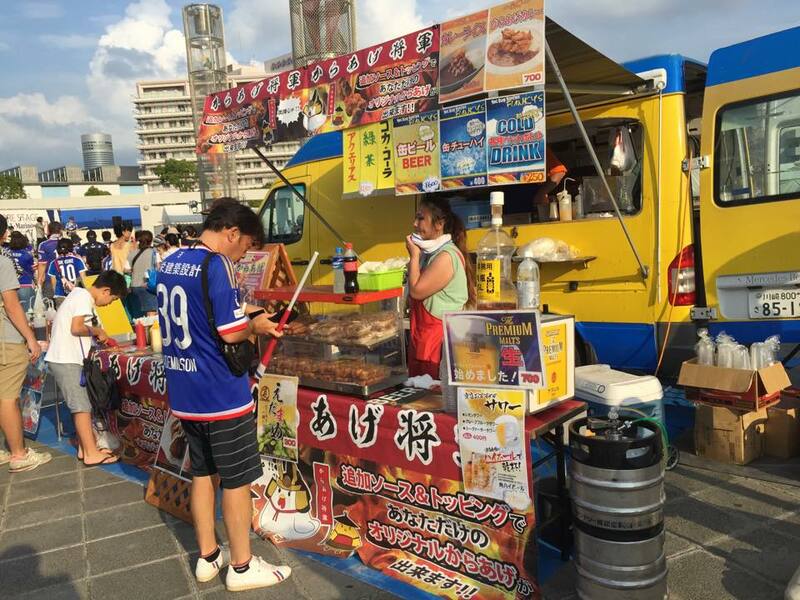 Prior to the match Dan took a moment to check out some of the food options around the ground for us and sent over a preview of some of the great food you can expect to find on a match day in Yokohama. "Marinos has had themed food trucks for every home match this season, along with regular participants. This week the theme was Thai. The picture above is called Karaage. They're chicken pieces coated and deep fried. They're a very typical beer food sold in Izakaya's (Bars) in Japan." "This second one is called Shumai. It's very famous in Yokohama as it's a Chinese style dish. It's sold in Shumai vendors throughout the city. Yokohama has Japan's largest China Town. These are similar to dumplings stuffed usually with pork." "This third one is a Thai food truck. They were serving Thai curries as well as other Thai themed dishes." 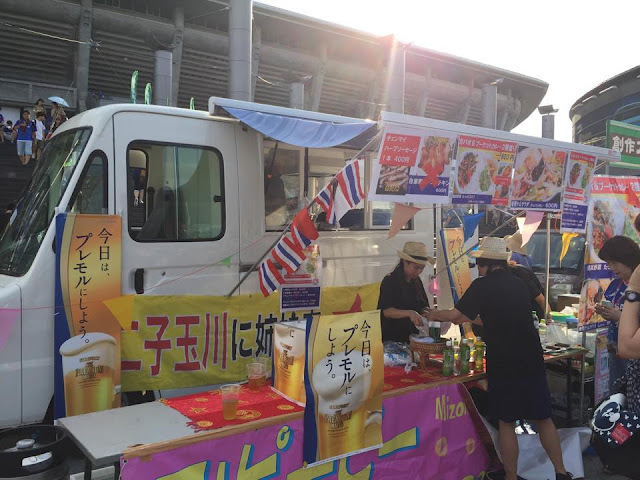 "This last one is the Matsuya truck. This is a chain company that can be found throughout Tokyo. 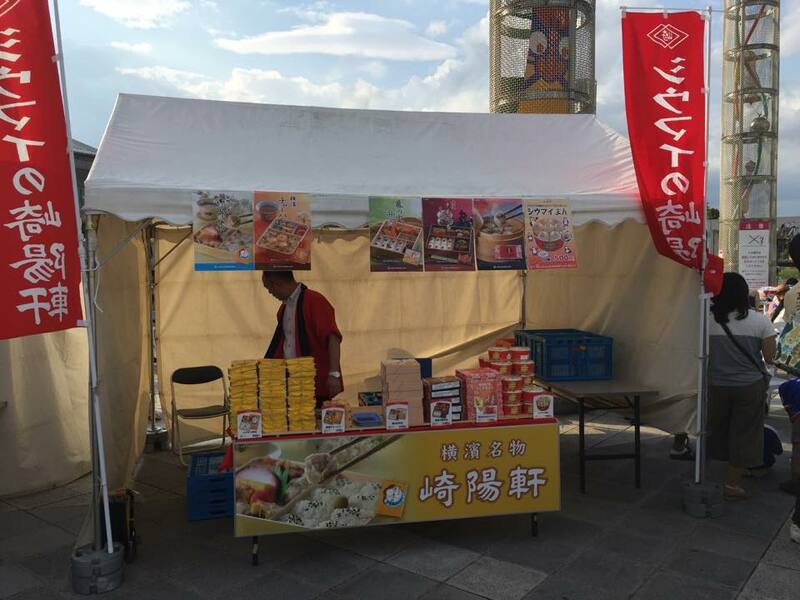 They sell Japanese Curries, Sausage, etc., as well as a shaved ice flavored beverage called Kakigori." "The 'pano' is the food service area located to the side of the stadium. There's also usually a live band, information service, ambulance as well as Hamatra, which is the official supporters organization." Thank you so much checking out the article for your feedback. 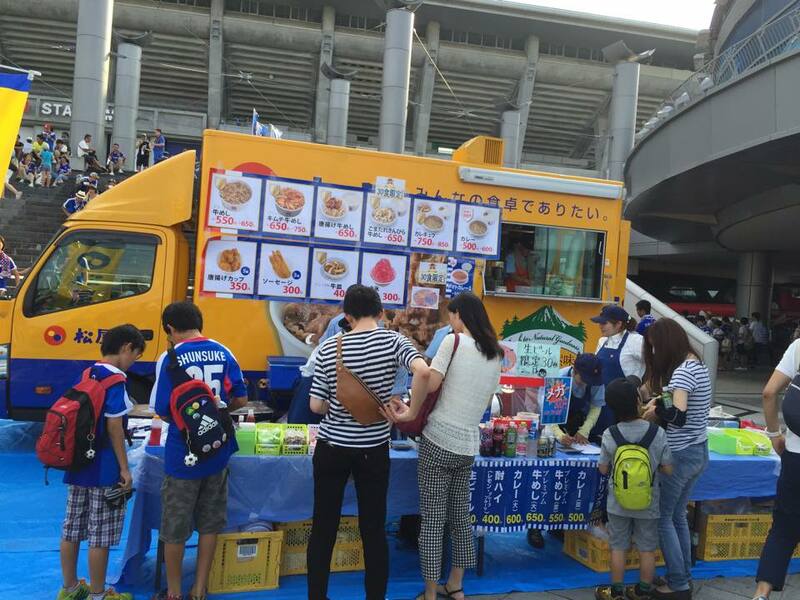 It sounds like they have a great variety of food items around J.League stadiums on match day. Great article. I use to follow Nagoya, but have since moved my base camp to Chiba(Ichihara) 13 yrs ago and have become a JEF United Supporter. Going to be there at the end of October, hoping to catch some 1st and 2nd division matches. Chicken Karaage cant be beat. the only other thing that goes better with Beer than Karaage is Tako-Yaki(Octopus balls) Oishi!!! !